The new market will span the entire 12,750 square feet of ground-floor retail space at HAP Investment’s new 2211 Third Avenue at the corner of East 121st Street. The market is participating in the city’s Food Retail Expansion to Support Health, or FRESH, program that provides savings to owners and increases the availability of affordable, healthy food options in areas of high need. Super Fi has a location 1635 Lexington Avenue between East 103rd and East 104th Streets which it reopened in June 2013, also via the FRESH program. Douglas Elliman Faith Hope Consolo and Arthur Maglio represented both sides in the deal, and is working on another deal for Super Fi Emporium in Harlem. “They believe in Harlem,” Consolo said. “For East Harlem, this is a nice push. Harlem needs the same options in food that is all over the city.” The new market will open in spring 2018. HAP hosted a ribbon cutting and opening ceremony for the completion of the 108-unit building, known as Hap Ten, on Nov. 7. It was designed by Fischer + MakooiArchitects. 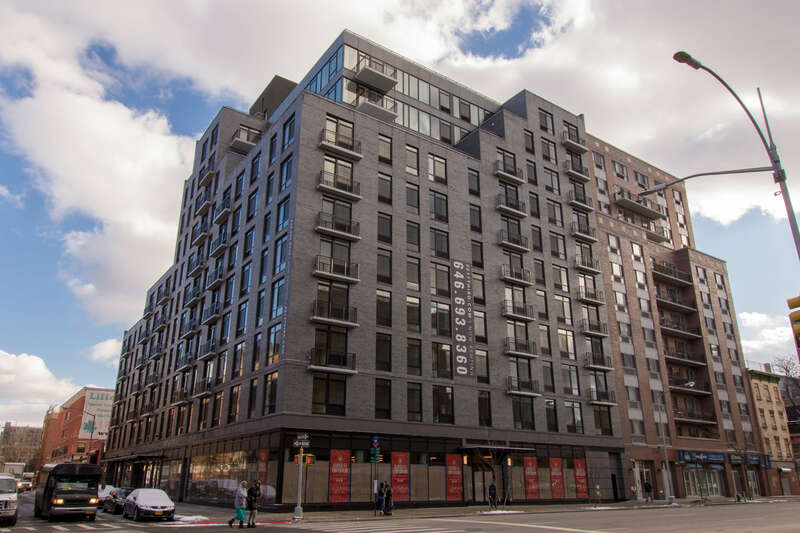 “With the addition of SuperFi Emporium, we are certain the building will be the most sought after rental destination in East Harlem,” Eran Polack, the chief executive officer of HAP Investments, said in a prepared statement. Monthly residential rents at 2211 Third Avenue range from $2,100 for a studio to $3,750 for a two-bedroom, according to information provided by HAP. The building features doormen, elevator, fitness center, roof-deck, terraces, private storage, bike room, on-site parking and in-unit washers/dryers. HAP Investments acquired 2211 Third Avenue, 214 East 121st Street and 216 East 121st Street from Tahl-Propp Equities in May 2014 for $13 million, according to property records.